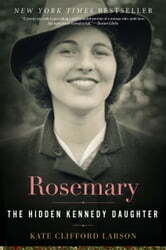 Joe and Rose Kennedy’s strikingly beautiful daughter Rosemary attended exclusive schools, was presented as a debutante to the queen of England, and traveled the world with her high-spirited sisters. Yet Rosemary was intellectually disabled, a secret fiercely guarded by her powerful and glamorous family. 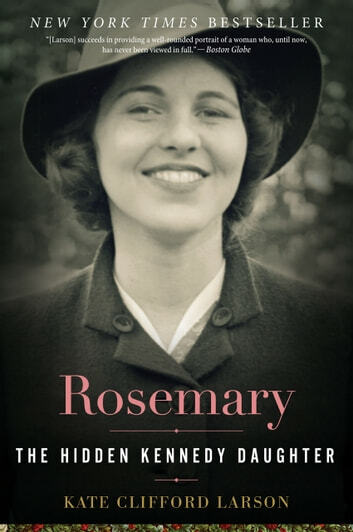 In Rosemary, Kate Clifford Larson uses newly uncovered sources to bring Rosemary Kennedy’s story to light. Young Rosemary comes alive as a sweet, lively girl adored by her siblings. But Larson also reveals the often desperate and duplicitous arrangements the Kennedys made to keep her away from home as she became increasingly difficult in her early twenties, culminating in Joe’s decision to have Rosemary lobotomized at age twenty-three and the family’s complicity in keeping the secret. Only years later did the Kennedy siblings begin to understand what had happened to Rosemary, which inspired them to direct government attention and resources to the plight of the developmentally and mentally disabled, transforming the lives of millions.